Delaware Dryer Vent Cleaning | Rug Cleaning in Delaware County | Natural Carpet Cleaning & More! A dirty home might keep you in a bad mood, but if your Delaware County home were clean and beautiful, your mood could improve significantly. And to keep your home looking its best, call on the help of the local Delaware County cleaning company A1 Sparkles. With our dryer vent cleaning and rug cleaning services, we can keep your Delaware County safe and sparkling. Over time, the lint in your clothes dryer can begin to build up in the vents. This buildup can both compromise the quality of your home’s indoor air and increase the fire risk in your home. 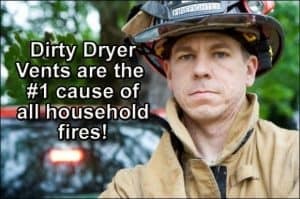 To improve your home’s indoor air quality while keeping it safe, don’t hesitate to call the Delaware County cleaning experts at A1 Sparkles for thorough dryer vent cleanings. Rugs are a valuable item that can make any room in your Delaware County home pop with beauty. To maintain your rugs beauty and value, you need to keep them looking great with routine cleanings. And for the most thorough rug cleaning service in the area, don’t hesitate to call the experienced pros at A1 Sparkles. If you are looking for expert cleaning services in Delaware County, then please call 610-292-9069 or complete our online request form. Are Carpet Stains On Your Holiday Guest List?